When we took over SE Inductions, we inherited a website that not only failed to sell it also failed to position on Google. 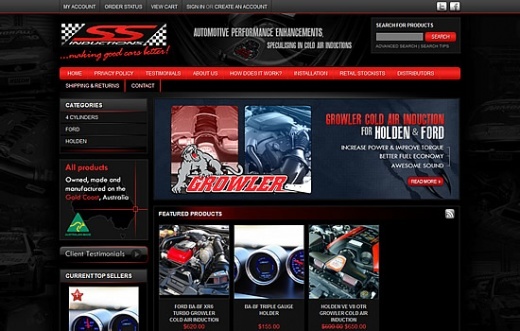 We spoke with Paul Klerck and he created a new look shopping cart website that looks inviting for all our automotive performance parts. Then he carried out Search Engine Optimisation (SEO) and the results have spoken for themselves ever since! We now have a website that serves our business as a great asset, not a liability! Paul always told me “if your website gets found, then the silent salesman can do it’s job”, in other words “Sell when we sleep”!